Pabongka Monastery on the outskirts of Lhasa, Tibet, July 2012. Photo by Matt Lindén. 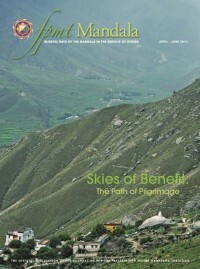 You can purchase the April-June 2013 issue of Mandala from the Foundation Store. Or become a member of Friends of FPMT at the Basic level to receive Mandala quarterly.